A vital part of the Portfolio education, our Artists-in-Residence are professionals who bring their expertise into the classroom. At school and in venues across the city, they work with the children, teaching them various skills and helping them to create work that is central to the culminating project of a unit of inquiry. Nicole Skibola is Brooklyn based writer and artist. Her primary medium is ink, graphite and gouache, and occasionally linocut and woodcut printmaking. Her writing and visual art explore memoir, personal myth and storytelling, as well as modern feminism. She has written and illustrated several self-published small art books and is currently collaborating with several hospitals to bring art therapy and personal storytelling to oncology patients. She has a BA from UC Berkeley and a Juris Doctor from the University of San Francisco School of Law. Liz Evans' love of sewing began in elementary school where she enjoyed projects such as making MC Hammer pants and dashikis. By the time she got to college she was working on more ambitious projects for student theater and dance groups as well as the Princeton University Theater department and NJ Opera Theater. After college she continued to work on theatrical costuming for a while, but also worked on bridal gown alterations, industrial displays and custom interiors fabrication. She recently decided to continue at the Fashion Institute of Technology to deepen her knowledge of apparel manufacturing and computer Pattern making. She currently works for a denim manufacturer in the garment district. Liz is very excited to share her love of sewing with the students at the Portfolio school. after working in Africa and Latin America for two years as the Creative Director for Global Brigades, an international development organization. His recent projects include a short film on child tea shop workers in Myanmar and a documentary short on the heritage grain movement led by female farmers in northern India. To increase collaboration with documentary subjects and viewers, Redefined Films introduces workshops on film, story, and photography before production with local communities and with audiences during film tours. 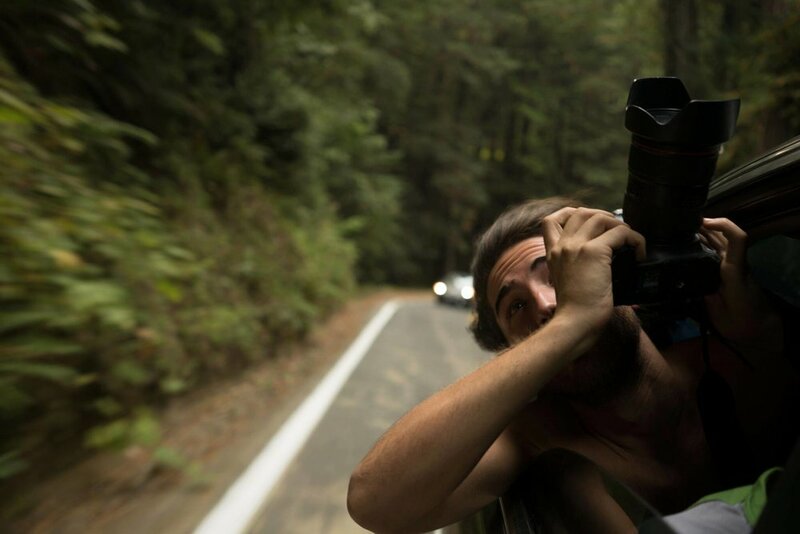 Alex is a freelance Filmmaker and Creative Director based in New York City. With work experiences ranging from filming with National Geographic’s underwater research vessels to projection mapping and music video directing on the city, he is constantly expanding and exploring storytelling through motion and light. David is a Jerusalem-born designer. His recent projects involve developing tools for the promotion of playful learning as a form of social practice. His work at ITP has been supported by the Tisch Foundation for Creative Research and xStory. He has worked for NYU's Institute of Arts and Civic Dialogue, and is on the editorial team of Adjacent, ITP's new online journal of emerging media. Before attending ITP, he produced news journalism for Haaretz.com and worked as a videographer, an animator and in theatre. Lockard has worked for numerous Israeli human rights NGOs. As part of The Public Committee Against Torture in Israel, he taught civic participation through cinema at Jerusalem high schools. He studied screen-based arts at the Bezalel Academy of Arts and Design in Jerusalem, where he was supported by grants from PCATI, Perach, and UNESCO. Thank you for your interest in joining our program. Someone from our team will reach out to you shortly.